See you at the Makers Connect store on Saturday, August 1st from 12pm-2pm! We’re celebrating National Coloring Book Day (Aug. 2nd) by having a coloring book party. 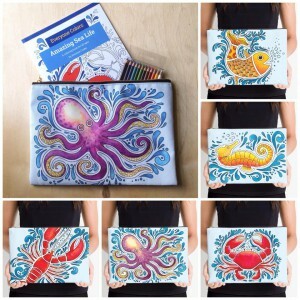 There will be copies of my coloring book, “Everyone Colors: Amazing Sea Life,” available for purchase, as well as my sea creature zipper pouches, greeting cards, and hand-etched glassware. 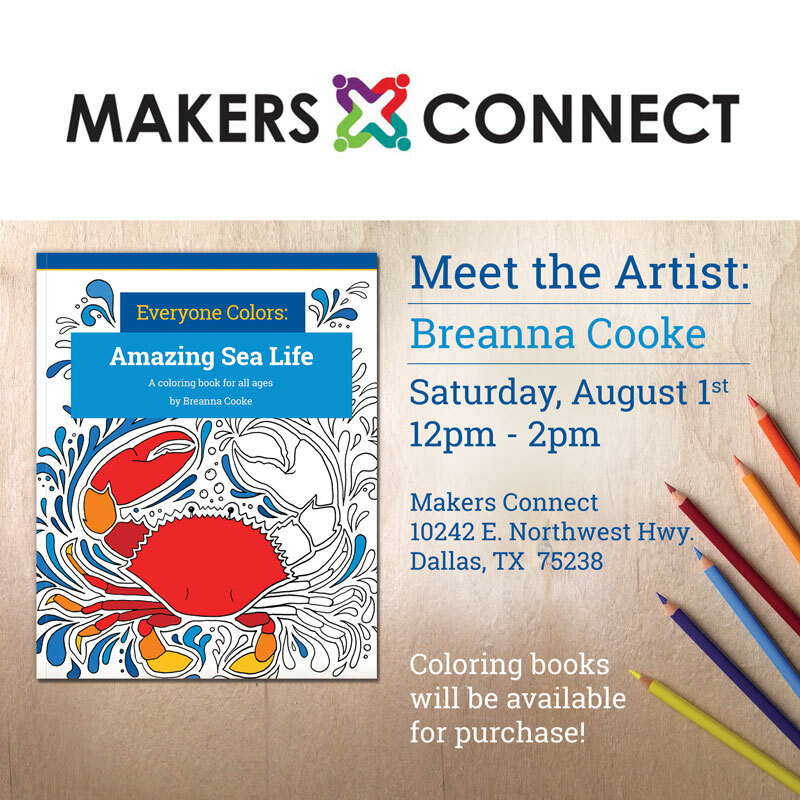 The event will be at the Makers Connect store in Dallas, located on 10242 E. Northwest Highway. The store has lots of beautiful hand-crafted jewelry, pottery, and art by local Texas artists. “Everyone Colors: Amazing Sea Life” is a coloring book for all ages and contains 11 sea creature illustrations. Each page is blank on the back, so it is easy to display your work when you are finished. This coloring book is perfect for adults and children because…Everyone Colors! Be sure to share pics of your coloring under #EveryoneColors so I can see your amazing work. Connect with me on Facebook, Instagram, Tumblr, and Twitter. Breanna Cooke is a Dallas-based graphic designer known for her award-winning body paint and costume creations. 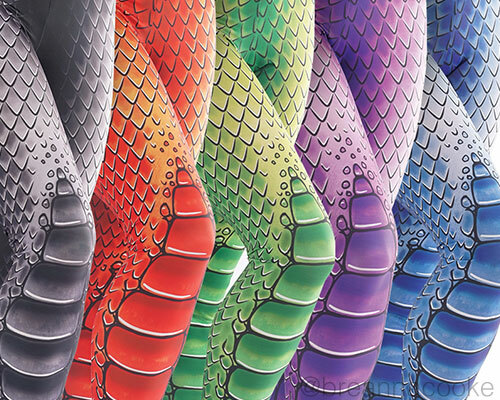 Order my dragon leggings on Redbubble!